Credit Report Dispute Attorneys | Blankingship & Christiano P.C. Our credit reports and credit scores are the lifeblood of our financial lives. A credit report dispute or identity theft in Northern Virginia can destroy the integrity of our credit profiles, and ultimately impact the quality of our lives. Whereas many of us are aware of our FICO (Fair Isaac) score, we may not realize that each of the three credit bureaus also assigns its own three-digit score to our credit profile. All credit scores range between 350 and 850, and the higher the number, the better your credit. Without a good credit score, you have a harder time obtaining attractive or affordable credit terms for home mortgages, car loans, and personal loans as well as renting an apartment or obtaining a good job. To make certain your credit score stays healthy, you need to be extremely responsible with your credit and financial obligations, and vigilant of any credit report mistake on a regular basis. You can also hire one of our Northern VA credit lawyers to help you with credit score issues. Many federal and state laws protect consumers from credit report dispute and identity theft including code established by the Federal Trade Commission (FTC) —the Fair Credit Reporting Act (FCRA). Under the FCRA, in most instances, if you notify a credit bureau of inaccurate information, they are required to investigate any erroneous credit reporting within 30 days and remove errors from your credit report. 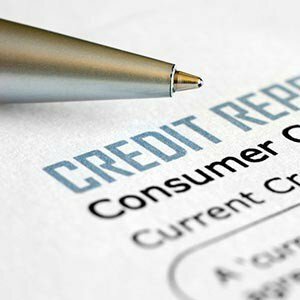 While the FCRA and other laws protect your rights, it is not easy to fix a credit report error. The three credit bureaus, Equifax, Experian (formerly TRW) and TransUnion, sometimes drag their feet in fixing errors, or fail to make such corrections altogether despite clear evidence supporting claims of credit fraud or errors. If these steps fail to fix the problem, you may need to file an Equifax, Experian, LexisNexis, or TransUnion credit report dispute. At Blankingship & Christiano, P.C., our credit report attorneys have a successful track record taking on the credit bureaus and their powerful attorneys. Our credit report lawyers will not hesitate to sue any creditor or credit bureau to fight for your legal rights and restore your good credit score. You should not have to pay for another person’s crime. Unfortunately, victims of identity theft suffer significant financial losses every day. By hiring a credit report lawyer, you can mitigate the financial impact of identity theft. A credit report lawyer can walk you through each step of the process, from reporting the identity theft and closing your bank accounts to filing a criminal complaint. A credit report attorney will also serve as a consumer advocate in the event that your credit history is affected. He or she will help you evaluate your credit reports and notify the credit reporting bureaus of erroneous information. Since the credit bureaus are notorious for delaying the process of fixing erroneous information, you will probably need the help of a lawyer to repair your credit history as quickly as possible. If you are the victim of identity theft or a credit report dispute in Northern Virginia, contact the credit lawyers of Blankingship & Christiano, P.C. at (571) 313-0412 or online to discuss your case. Our credit report attorneys will help you.